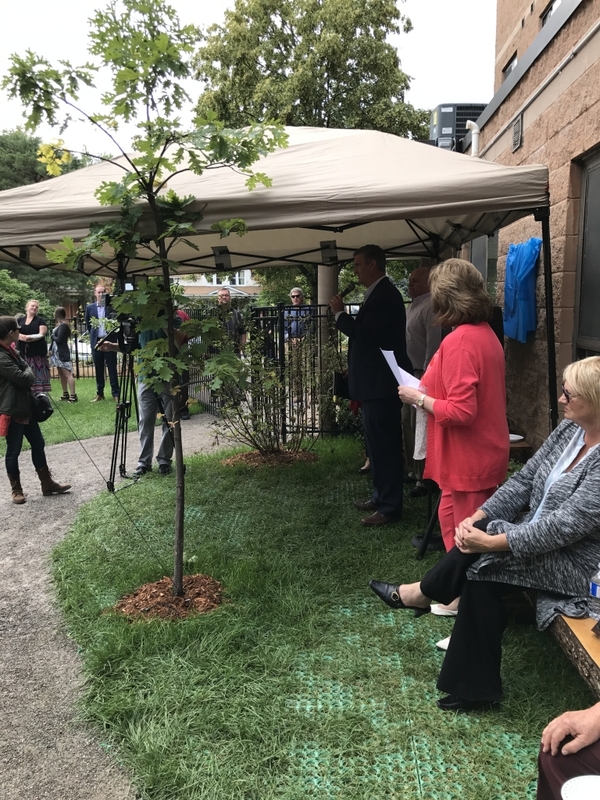 We are extremely thrilled with the amount of community involvement and support we received throughout this entire project. 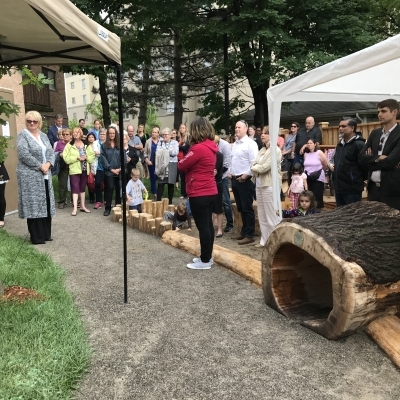 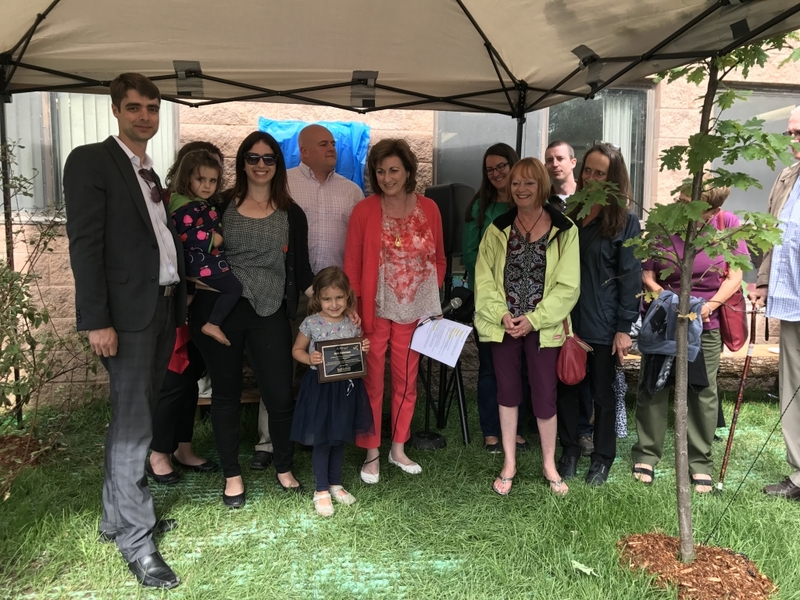 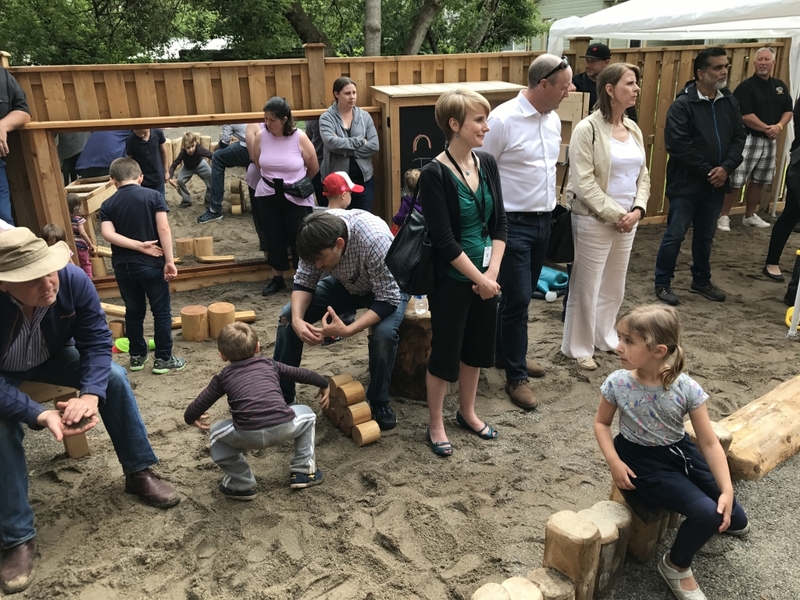 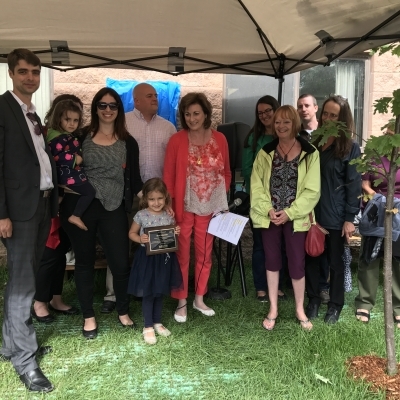 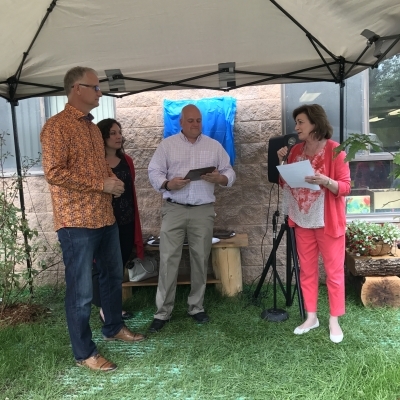 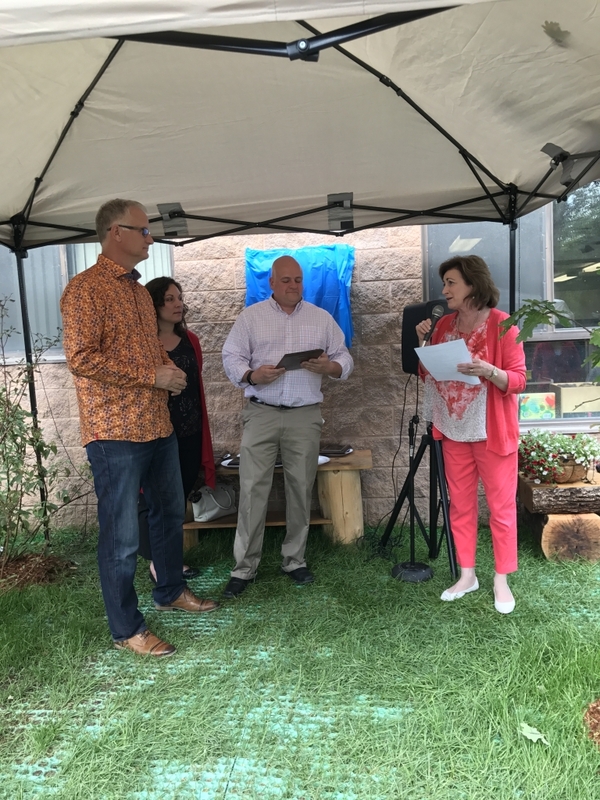 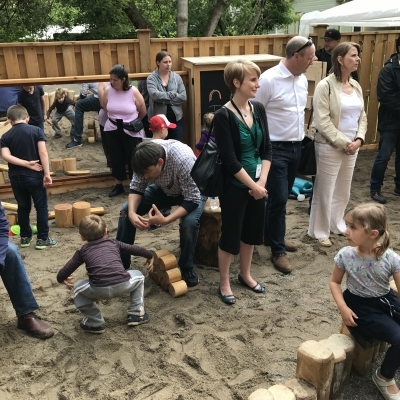 A big thank you to Adam Bienenstock, founder of Bienenstock Natural Playgrounds, for designing a play space that connects children to nature and inspires optimal child development for our community. 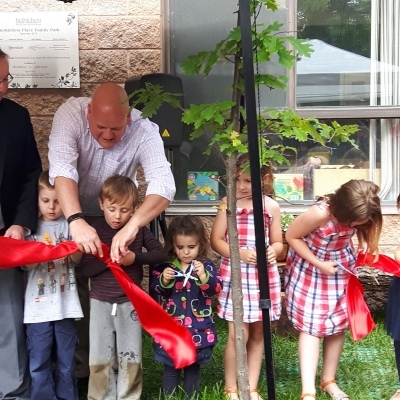 We would also like to thank the Early Childhood Community Development Centre (ECCDC) for their leadership role in bringing naturalized early learning and child care playgrounds to Niagara. 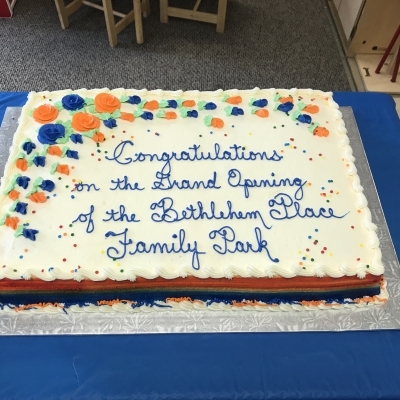 Bethlehem Place was one of four original pilot project sites, which has now expanded to 26 sites that are now moving forward with naturalized playgrounds in Niagara. 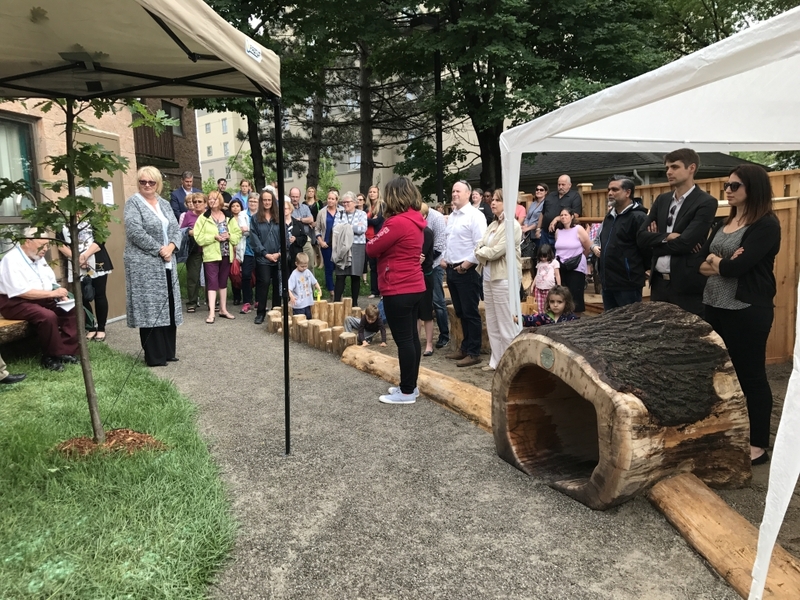 The ECCDC provided customized training and program support for our naturalized play space. 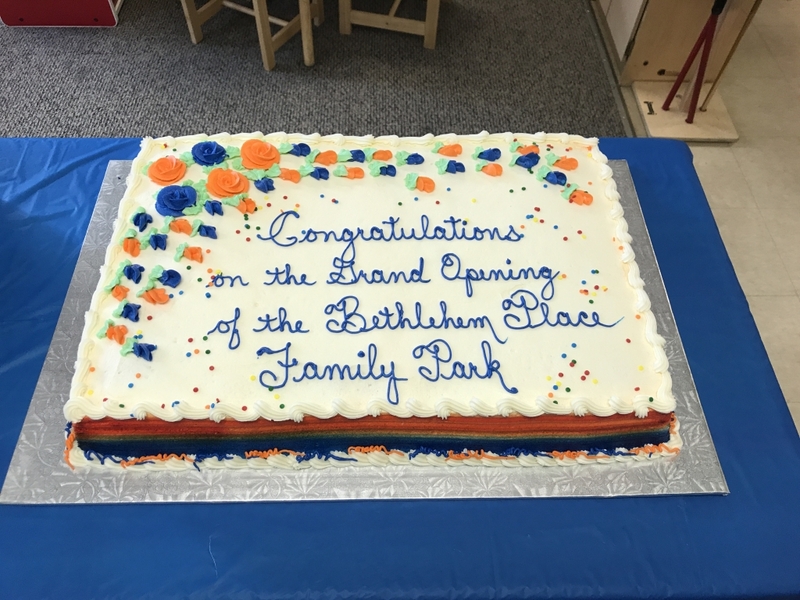 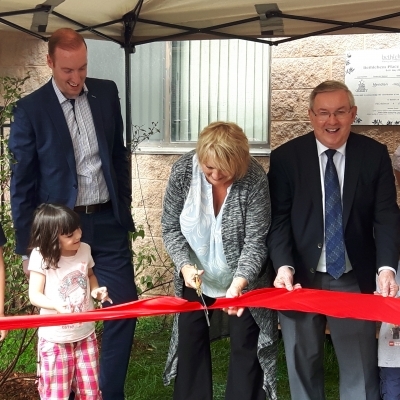 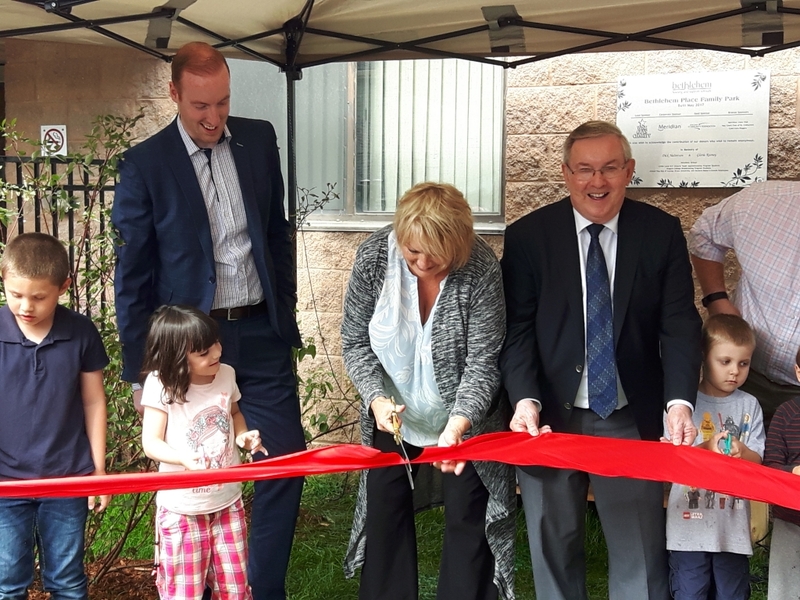 Now that the playground is complete we are looking forward to seeing children and families that live at Bethlehem Place and in the surrounding neighbourhood enjoy the new Bethlehem Place Family Park. 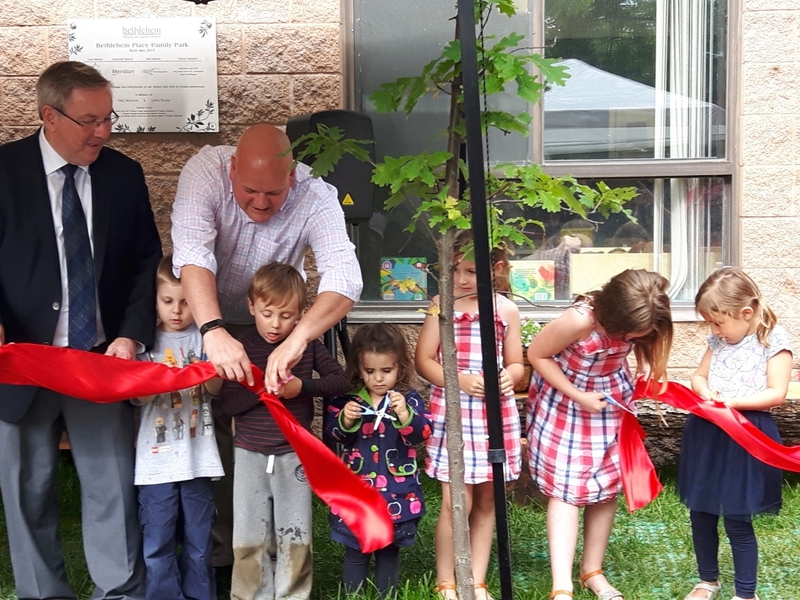 Thank you to Cogeco TV for covering the grand opening and providing us with a wonderful video of our new Natural Playground. 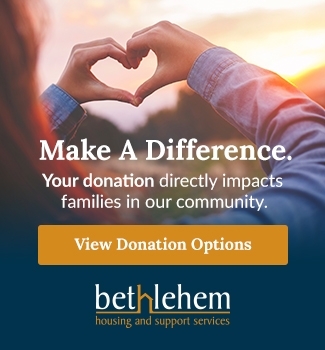 Please scroll down to watch the video. 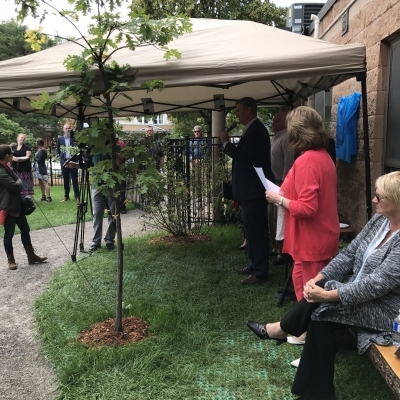 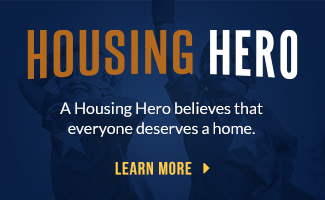 Click here to read the article from the St. Catharines Standard by Julie Jocsak.